In a new report, researchers at TOI investigates regulations for and enforcement of European Low Emission Zones (LEZs) and evaluates the effect of LEZs on local air quality. A Low Emission Zone is a defined area where access for the most polluting vehicles is regulated, either by a total ban or a fee. In Europe there are now around 260 LEZs in operation in different cities. An overweight of countries that have LEZs, have implemented the measure because they did not comply with the EU Limit Values for local air quality. 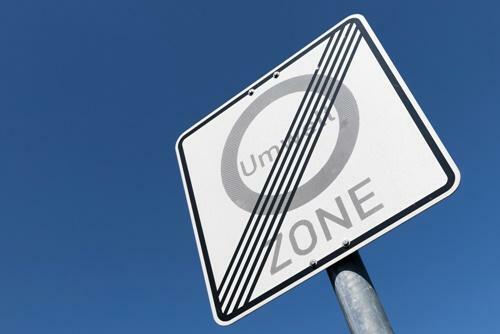 The zones were previously used primarily to reduce the use of older heavy duty vehicles, but several countries have now also introduced requirements for other categories of vehicles. E.g. cars and vans. The overall effect of LEZs on air quality is difficult to evaluate because of several methodical challenges. With improved knowledge on real emissions from road traffic the future LEZs can be better adapted to the needs of the cities. However, there are several interesting experiences and learnings one can draw from various cities and countries that have implemented LEZ-regulations. The report presents LEZ regulations and effects in cities in Sweden, Germany, Belgium, France, Netherlands, the city of London as well as experiences from Environmental road pricing in Oslo. The report is financed by the Swedish Transport Agency.